Beautiful new build villas located in San Pedro del Pinatar, Murcia (Costa Calida) The villa has 3 bedrooms, 2 bathrooms, large living/dining room, open kitchen (including oven, hob and extractor), terrace and optional solarium of 37sqm (9.000€). 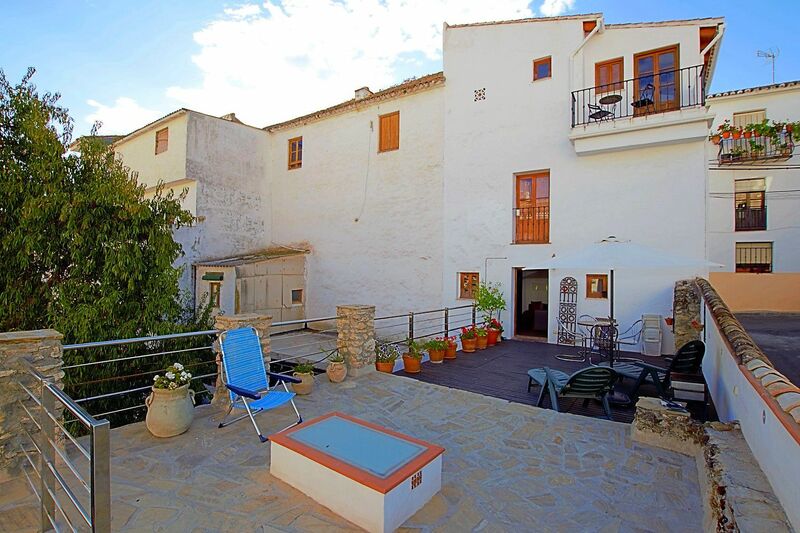 The property has an average plot size of 125sqm which includes a swimming pool. Inside the villas you will have a large amount of open living space due to the added terrace on the ground floor with large triple door windows allowing huge amounts of light in. 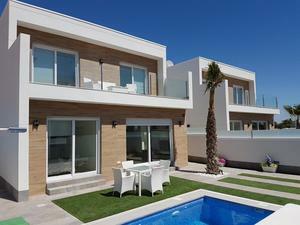 The property is in a residential area near the Mar Menor beaches. 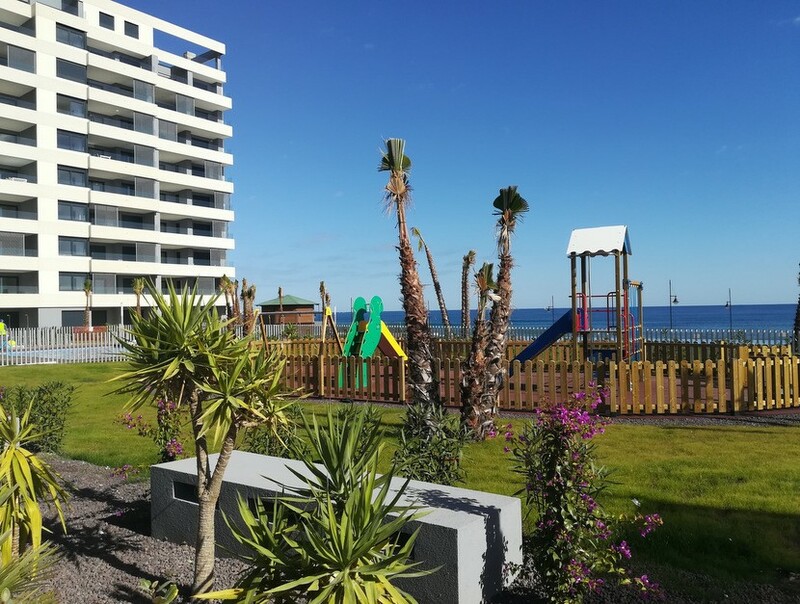 San Pedro del Pinatar has great tourist and ecological attraction where the natural park of Salinas y Arenales de San Pedro del Pinatar is located north of the village and blue flag beaches offering a wide selection of water sports. For enthusiastic athletes, they can choose from 5 golf courses, 5 minutes to football, gym, tennis and cricket. They are close to all amenities and a good selection of bars, restaurants and shops. They are close to all amenities and a good selection of bars, restaurants and shops. Close to major towns such as Torrevieja, Murcia and Cartagena. Easily connects with the N-332 road and motorway AP-7 Mediterranean. 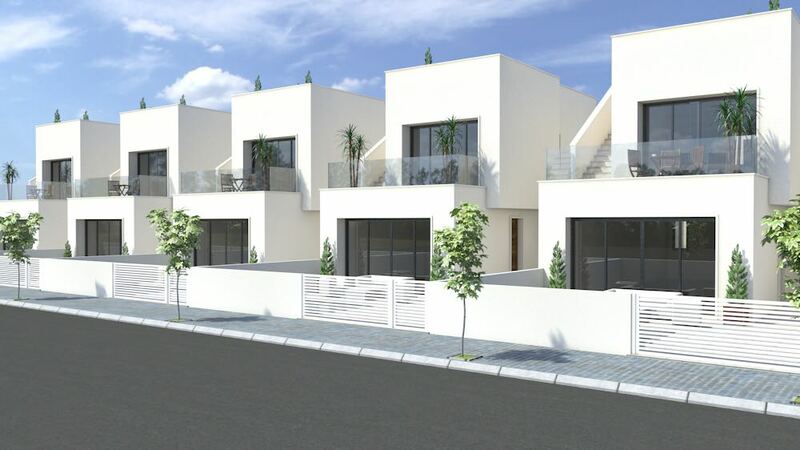 These brand new 3 bedroom, 2 bathroom detached villas are located in San Pedro del Pinatar in a great location situated only a few minutes from restaurants, bars and shops and on a small private development of only 6. The ground floor is comprised of a large lounge/dining area with patio doors leading out into the private garden/terrace with swimming pool, an open plan kitchen and a guest bathroom. White goods are included in the price! The first floor consists of three double bedrooms and a guest bathroom. Patio doors from the master bedroom lead onto a private sun terrace. On the upper level there is the option (8.000€) to add a 54m² private solarium in which to enjoy the all day sun. 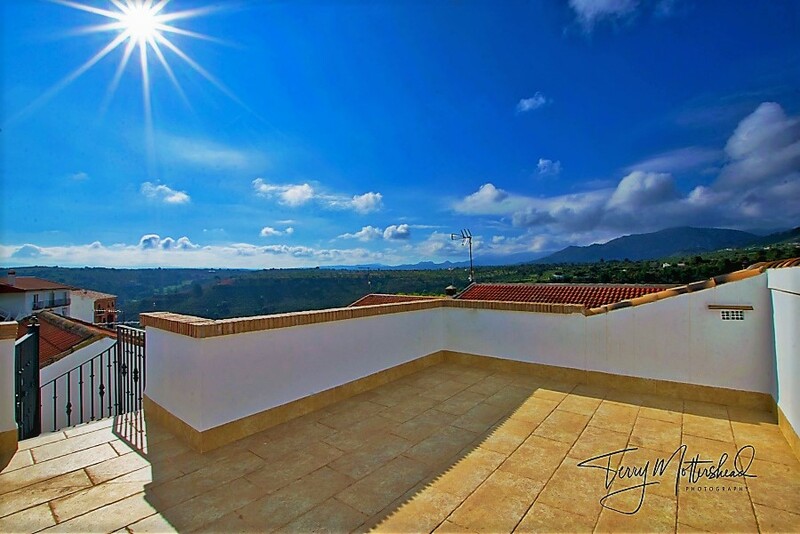 This is a beautiful modern property and is great value for money, set in a great location close to all amenities and is just a few minutes from the Spanish town of San Pedro and the sea. San Pedro del Pinatar is a bustling Spanish town with lot’s of choice for bars, shops and restaurants and only a few minutes from the beach. The Dos Mares shopping mall is also a few minutes away. 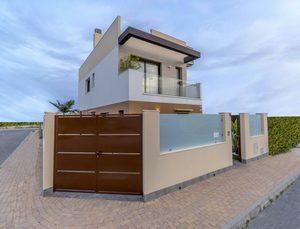 Brand new 3 bedroom, 2 bathroom detached villa in San Pedro del Pinatar with private pool in a small development of only10 properties. 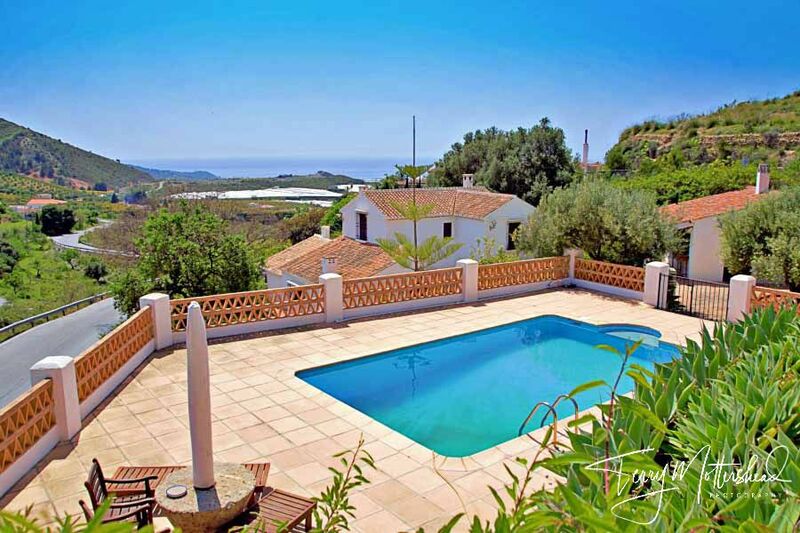 This lovely villa stands in beautiful landscaped gardens with off road parking and has a private pool of 5.8x3m. On the ground floor there is a 39 m² salon/dining room, a separate kitchen with laundry area, a double bedroom and a family bathroom. On the first floor there are two double bedrooms both with patio doors onto private terraces and another bathroom. Located in the Las Esperanzas area of San Pedro del Pinatar, this villa is close to all amenities and the sea. This traditional Spanish town has an international flavour and is close to the natural parks of Lo Pagan. Here we have a brand new development of five detached villas with private swimming pool, near the centre of San Pedro del Pinatar, Murcia (Costa Calida), and within walking distance to the sandy beaches of Mar Menor and the Mediterranean Sea. The property boasts three double bedrooms with fitted wardrobes (Master with a dressing room), two fully fitted bathrooms with floor heating, a spacious living/dining room, open plan kitchen with all appliances included, private terrace and garden with a swimming pool+jacuzzi and shower, off road parking, pre-installation for the air conditioning (hot/cold), and a private solarium Completion November 2018!